I love Garrett Leigh’s writing so much! This fourth Porthkennack book brings Cornwall to life and introduces two beautiful, troubled men. Brix and Calum are both tattoo artists; they worked together in London years ago but it is chance that brings a bruised and broken Calum to Brix’s tiny town. This book should have been depressing. But even while sensitively tackling huge, dark issues, there is a lovely sense of hope in this book that keeps it happy. It is also surprisingly low angst. Calum and Brix are grownups. They communicate. There isn’t any unnecessary drama here, just a slow, sweet second chance romance between two quite damaged men. This is a low heat romance, but the connection between Calum and Brix is wonderful and I loved these two together. Brix is a quiet, unassuming character and I love the way the author shows us Brix through the way he cares for his family and friends. Brix doesn’t just rescue battery hens, he rescues people. The staff in his tattoo shop are a special sort of family. It is impossible not to love Brix, even though he reveals very little about himself until the end of the story. When Calum washes up in Porthkennack, Brix gives him a place to work and the opportunity to rebuild his life after an abusive relationship. I loved watching Calum’s confidence grow in this story. He is a gentle man and a talented artist. It is the details that make this story. Brix’s smuggler family making dodgy deals to rescue battery chickens. Quirky tattoo coverups. The strain on the small Cornish community when the lifeboat sets off on a rescue mission in a storm. Leigh’s Cornwall is full of character and family lore. I absolutely love the coarse warmth of Brix’s family and I loved watching Calum build a new life in Porthkennack. 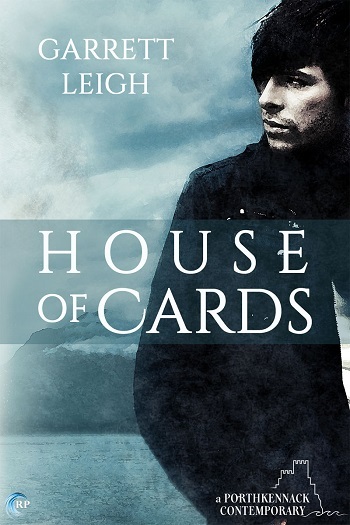 This is my favourite book in the series so far. I love the sense of place in this story and I loved the whole cast of characters. I can’t recommend this story highly enough. 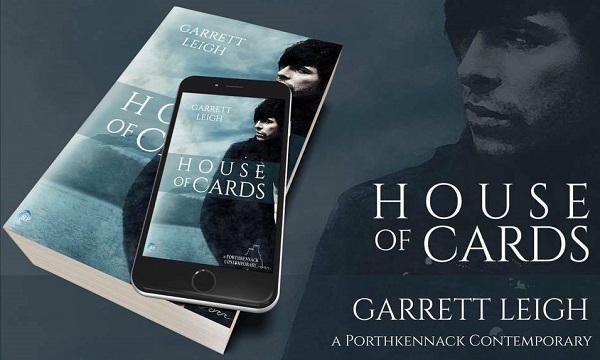 Reviewers on the Wicked Reads Review Team were provided a free copy of House of Cards (Porthkennack #4) by Garrett Leigh to read and review.